Airtel VoLTE Support on Redmi Note 4, Airtel VoLTE Launch on Redmi Note 4: In India, Jio launched its Jio VoLTE Service in the year 2016. With that groundbreaking launch, Jio earned its stardom. Unfortunately, this was not a good news for the other major telecom operators. Operators like Airtel started losing its prime customers to Jio. Now in the present scenario, telecom operators like Vodafone, BSNL, Idea have been launching offers to compete with Jio’s ‘Dhan Dhana Dhan‘ offer. But Airtel seems to be taking a move by launching the Airtel VoLTE service. Currently, this service is present in Xiaomi’s front runner- Redmi Note 4. Wondering what the VoLTE service is about? Read this article to know more about VoLTE services and Airtel VoLTE Support on Redmi Note 4. There is a reason why Airtel VoLTE service is creating a hype on the Internet. Till date, only Jio had released its VoLTE service in India. Airtel seems to step up their game by launching the Airtel VoLTE service too. VoLTE stands for Voice over LTE (Long Term Evolution). In simple words, when a call is made over a 2G or a 3G network, a certain amount of network bandwidth is given to that call as a pipeline. On a VoLTE network, voice calls are broken up into packets of information, sent over the full data pipeline and then reconstructed at the receiver’s end. The difference is that in the VoLTE network, voice information can be carried over a higher bandwidth pipe, which results in better voice quality. Now, in the Redmi Note 4’s update, Airtel VoLTE service is featured in it. Although there is no official statement from Airtel, it is likely that Airtel will launch its Airtel VoLTE on other VoLTE supported smartphones soon. Airtel was the first telecom operator to launch the 4G service. However, Jio stole the spotlight by introducing the first ever VoLTE service in India. Jio’s VoLTE service offers the best voice calling technology where it uses data for making voice calls. Airtel believes that the only way to move forward is by introducing VoLTE service. Sources reveal that Airtel has been testing its Airtel VoLTE service on few handsets. But it was spotted on the Xiaomi Redmi Note 4 when it got its new update called the MIUI v8.2.10.0.MCFMIDL software update. 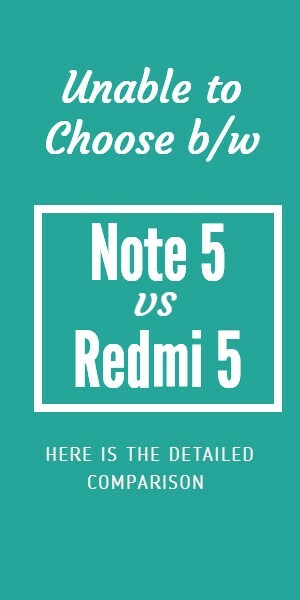 Airtel seems to be targeting the best budget phone in the India market, Redmi Note 4, so that its new service will be easily available to the majority of the mobile users. Airtel will slowly expand to the other VoLTE supported smartphones. Airtel officially did not support the VoLTE technology but on the recent update of Redmi Note 4, Airtel VoLTE service was spotted. The MIUI v8.2.10.0.MCFMIDL software update of Redmi Note 4 also featured fixes on the problems with pop-ups after unmounting SD card and Notification Shade issues. It also fixed the camera as the camera couldn’t be opened some cases as well as issues related to Bluetooth. It’s a fair assumption that Airtel launched the VoLTE service on Redmi Note 4 as it is the most popular smartphone on demand in India. With most of the telecom operators releasing offers weekly to counter Jio, this move of Airtel of launching the Airtel VoLTE service will be the biggest blow. Stay tuned as we update more news of the Airtel VoLTE service soon. Want to avail more services from India’s largest network? 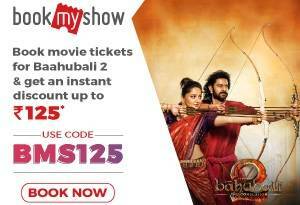 Click here to visit the official website of Airtel.